When did I become a grown-up and make NPR the default for the radio whenever I drive? It’s taken having music-demanding teenage passengers to remind me of the pleasures of driving with happy music blasting. Sure, lots of radio content is uplifting and inspiring, but there’s nothing like tunes to turn mood up a notch. One of the best parts of being an adult in the driver’s seat is that I can choose to play whatever I want, as loud as I want. I’ve found that it’s worth taking the time to create playlists on my phone that I can then crank in the car. One trick to acquiring new music that works for me is Shazam. This amazing app not only lets you find out what’s playing wherever you are but lets you buy it instantly via iTunes. Another trick I’ve learned to really enjoying car music is to download music or play a CD, rather than listen to the radio. The quality is just hugely better; you can really hear all of the instruments and the vocals so much more clearly. 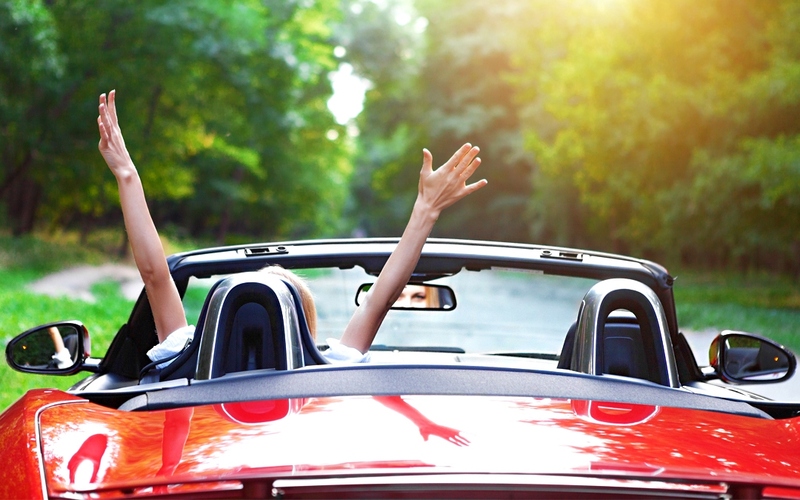 So the next time you hop in your car, try music instead of news and get your happy calm on!